3M Vinyl Foam Tape 4516 is a vinyl, conformable, single-coated, closed-cell foam tape. 1/16 in thick. 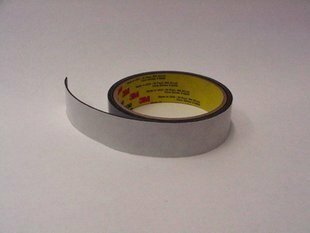 3M 4905 VHB Tape is excellent for applications where an aggressive double-sided clear or colorless tape is desired. The general purpose adhesive on both sides is suitable for high surface energy substrates including metal, glass and high surface energy plastics. Application ideas include sealing between inner and outer dome of skylights, attaching handles to sliding glass doors, mounting back lit translucent signs and edge bonding resin filled glass. 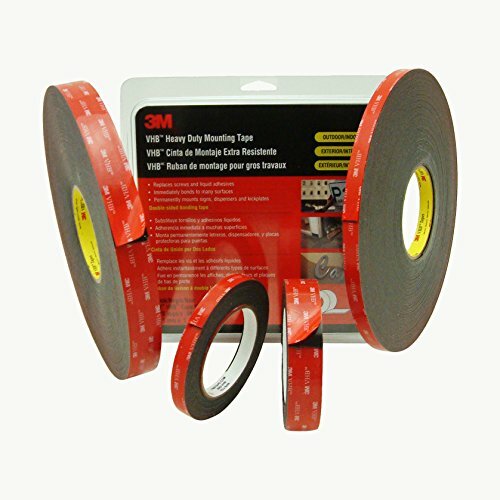 3M VHB Tape provides the convenience and simplicity of a tape fastener and are ideal for use in many interior and exterior structural bonding applications. In many situations, they can replace rivets, spot welds, liquid adhesives and other permanent fasteners. These VHB tapes are made with acrylic foam which is viscoelastic in nature. 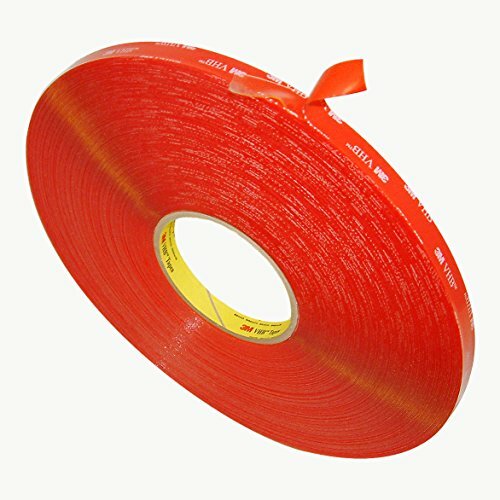 This gives the foam energy absorbing and stress relaxing properties which provides these tapes with their unique characteristics. The acrylic chemistry provides outstanding durability performance and the tapes have excellent durability and excellent solvent and moisture resistance. 3M Vinyl Foam Tape 4508 is a vinyl, conformable, single-coated, closed-cell foam tape. 1/8 in thick. 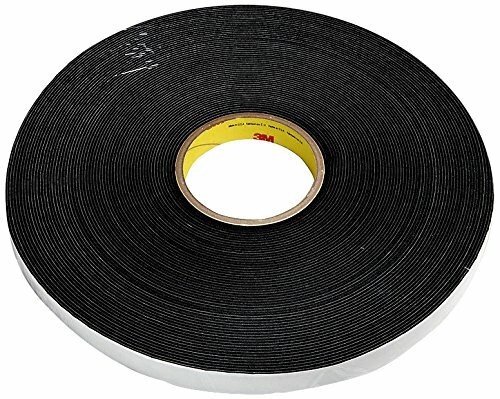 3M Vinyl Foam Tape 4726 includes a closed cell, medium-density foam backing with a pressure-sensitive acrylic adhesive on one side. It allows for quick-stick to a variety of substrates including many metals, glass and plastics. The silicone treated white paper liner allows for die cutting without having to laminate another liner to the foam. 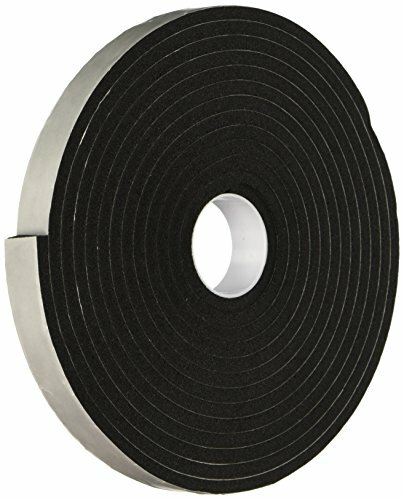 3M 5952 Heavy Duty Mounting VHB Tape is black, double-coated VHB adhesive tape with an acrylic foam core. A modified acrylic adhesive is on both sides of very conformable foam which provides adhesion to the broadest range of substrates/surfaces, including most powder coated paints. Comes on a red film release liner. 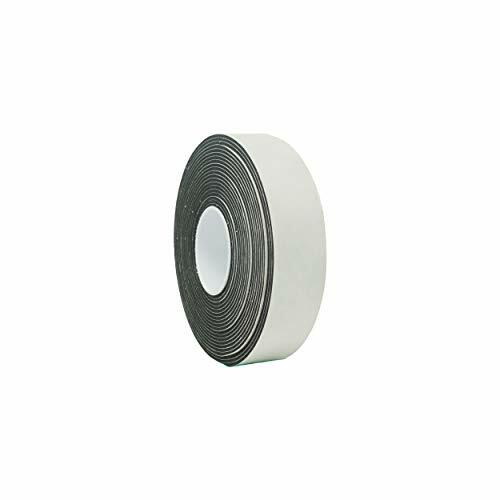 3M VHB Tape provides the convenience and simplicity of a tape fastener and are ideal for use in many interior and exterior bonding applications. In many situations, they can replace rivets, spot welds, liquid adhesives and other permanent fasteners. Recommended to use 4 square inches of 5952 VHB tape for every 1 pound of load; although rough surfaces may require additional tape. These VHB tapes are made with acrylic foam which is viscoelastic in nature. 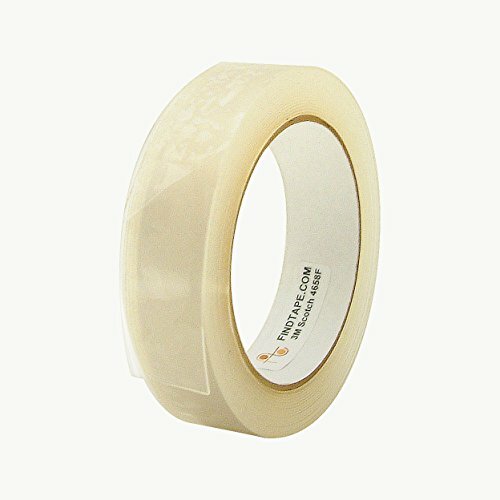 This gives the foam energy absorbing and stress relaxing properties which provides these tapes with their unique characteristics. The acrylic chemistry provides outstanding durability performance and the tapes have excellent durability and excellent solvent and moisture resistance. 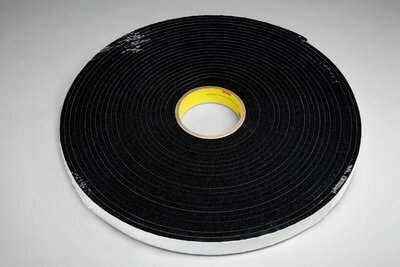 3M 4658F double coated removable foam tape is a 31 mil acrylic foam coated on both sides with an acrylic adhesive. It offers clean removability from many surfaces including displays, signs, exhibitions, electronic accessories, smoke alarms, dispensers, air fresheners, nameplates, picture frame tabs and temporary carpet bonding. The adhesive on the tape offers high ultimate bond strength, good temperature resistance, solvent resistance and static shear holding power. As a general rule, four square inches of tape should be used for each pound of weight to be supported in static load. Comes on a 2 mil pet liner. 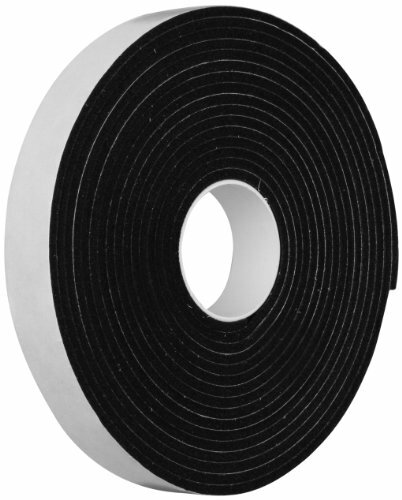 3M Vinyl Foam Tape 4504 is a thick, vinyl, conformable, single-coated, closed-cell foam tape. 1/4 in thick. 3M(TM) Vinyl Foam Tape 4726 is a very conformable, vinyl, single-coated, closed-cell foam tape that is 1/16 in thick. 3M(TM) Vinyl Foam Tape 4504 is a thick, vinyl, conformable, single-coated, closed-cell foam tape. 1/4 in thick. 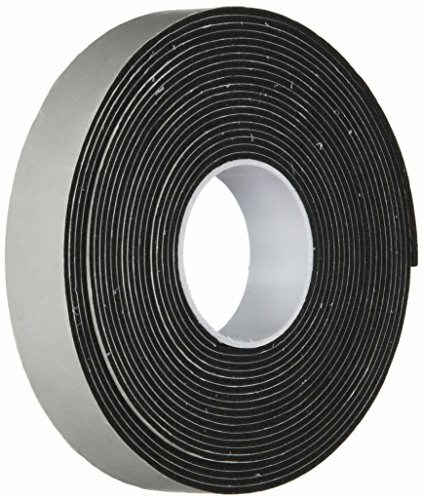 Compare prices on 3m Vinyl Foam Tape at Elevelist.com – use promo codes and coupons for best offers and deals. We work hard to get you amazing deals and collect all avail hot offers online and represent it in one place for the customers. Now our visitors can leverage benefits of big brands and heavy discounts available for that day and for famous brands.